I can take pictures of the Milky Way everyday for the rest of my life and I will always be fascinated by the stars above me. I am always trying to figure out new ways to take photos of the stars to make them interesting because I enjoy new ideas and teaching others new ways to take photos. During our last Orion Workshops class, which is a class I teach on astrophotography, I had the idea of blurring my images. The image above is what what you would see in a regular nighttime photograph, the night sky in focus and a good amount of stars. 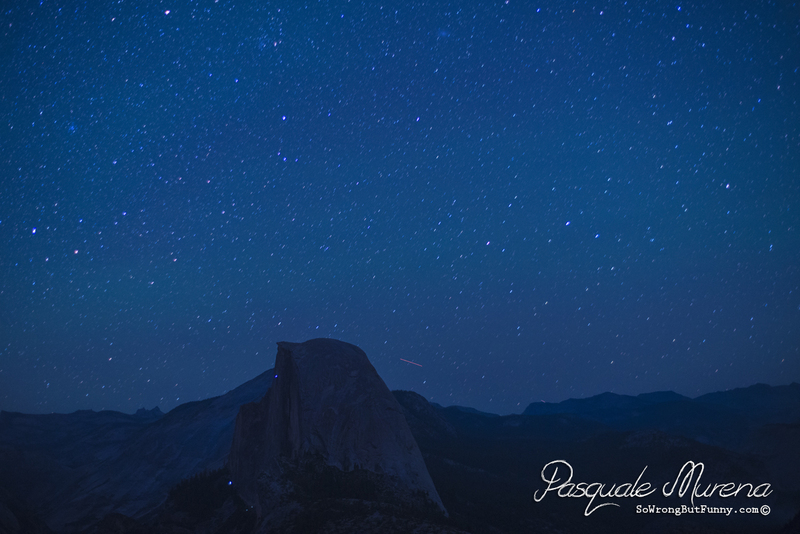 This image is of Half Dome in Yosemite National Park from the parking area of Glacier Point. There is nothing wrong with it, simple, nicely composed and good colors. On a higher resolution version of this image you can see star clusters and nebulas in the night sky. I have a version of this photograph without the red streak on the backside of Half Dome, that is a plane flying by the granite monster but I used this photo because I wanted you to see that compared to the images below. On these next two photos I came in closer to the mountain with my Nikon 85mm, got my composition and then blurred the focus to 25% off on my first try (other settings are under the photo). This gave me an interesting photo and something new but it also made me feel that it looks more like a mistake than a conscious decision, I decided to blur the focus even more and see what happens. The photo below is blurred to about 50% and this was the look I was going for. Do you see that red line in the photograph? 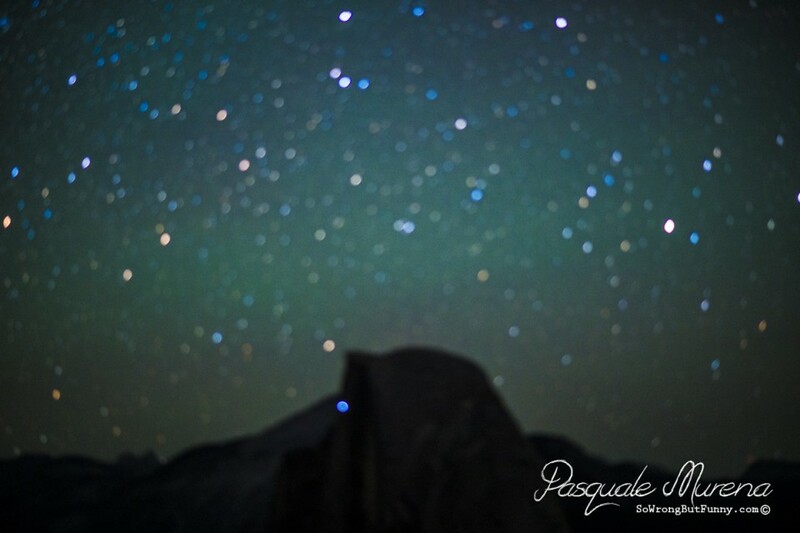 That is a plane going by that I mentioned above and the blue dot on Half Dome is actually a climbers light, which you can see in the top photo too. I tried to take this type of photo without the mountain range, just the stars and it did not work for me. The next opportunity I have I will take it with items in the foreground and try it with a tree line. Go out there and play around with this technique and let me know how it goes. 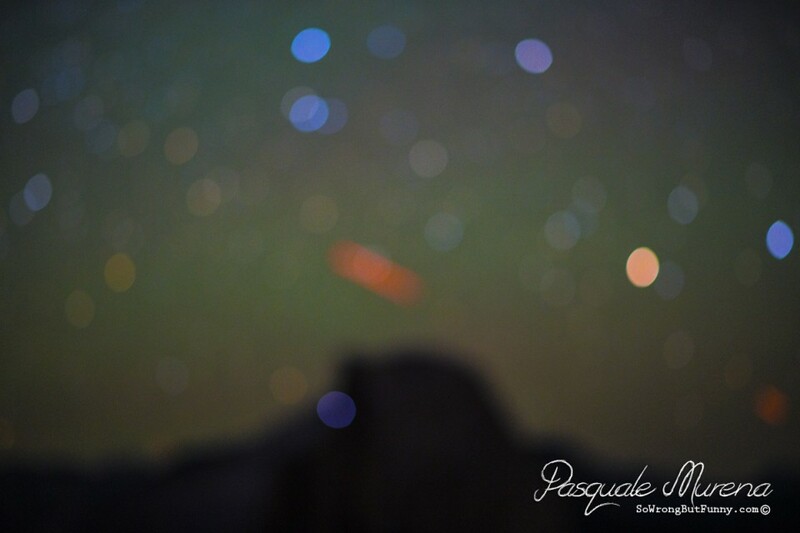 Photography by Pasquale Murena; Astrophotography & Night Photography.